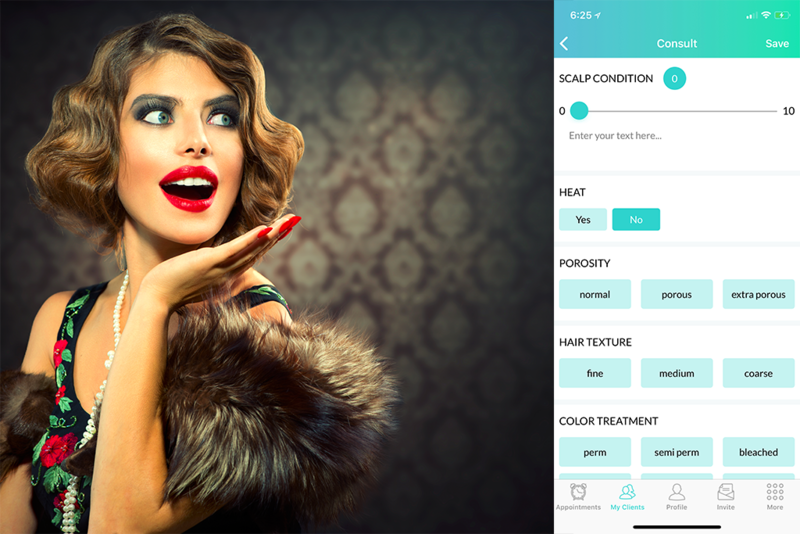 One of the great benefits of our Ring My Stylist app is that you and your stylist can easily note and keep track of your hair’s health over time. All you have to do to check it is making a few quick clicks. Your hair’s health is important because it can determine which treatments you should get, which you should avoid, and how you and your stylist can work together to improve your hair’s health. To start out, all you have to do is ask your stylist to download and open the Ring My Stylist mobile app and select the Initial Consultation tab. With each visit after that, they can update the condition of your hair, tracking how it responds to treatment. No longer do you have to make do with a “One Size Fits All” approach. One size never fits all! In the initial Consultation tab, your stylist can note a variety of hair characteristics: its current condition, its natural porosity, and texture, whether they can use heat on it, your scalp condition, your hair’s history of various treatments (including color) and lots more. Your hair and scalp condition will then be scored on a scale of 1-10 to provide a baseline. This will help the stylist suggest specific products and how you should use them to improve your hair and scalp conditions. Remember, healthy hair is beautiful hair!